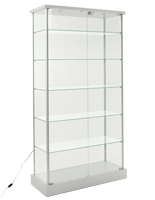 This Grace Tyler Trophy Case With Track and Canopy Lights Is Perfect For Against-The-Wall Displays! 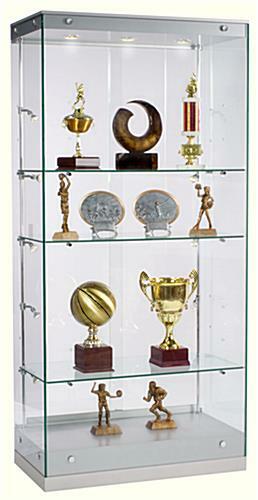 These Display Cabinets Have A Number Of Extra Security Features To Keep Your Trophies and Awards Safe and Secure! The quickest lead time you'll find on an exhibit this size! In-stock award cases ship out today if ordered before 1pm EST! 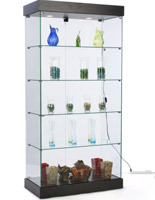 Adjustable shelves allow users the choice of three (3), four (4), or five (5) shelves to accommodate products or trophies of varying heights. 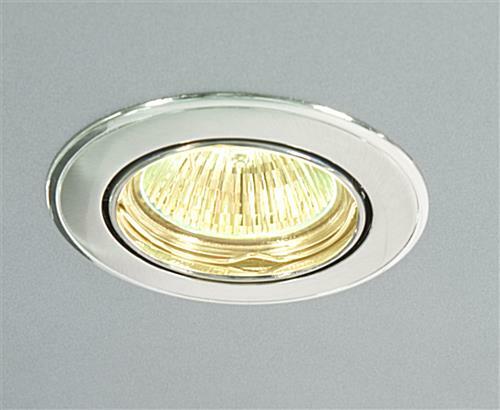 Ten (10) "swiveling" 20-watt vertical lights plus three (3) 20-watt top lights to aim true, white light right where you want it; most competitors charge extra for vertical side lights! This showcase, also known as a display cabinet, is an excellent choice from Grace Tyler Commercial Showcases. 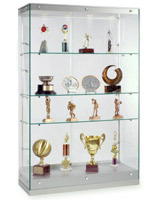 The trophy case will proudly display a trophy collection or retail products. And at 36" wide, it is the perfect size to be situated against a wall to save floor space. 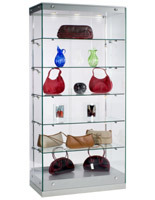 The showcase is completely frameless, lending the display cabinet an upscale appearance. 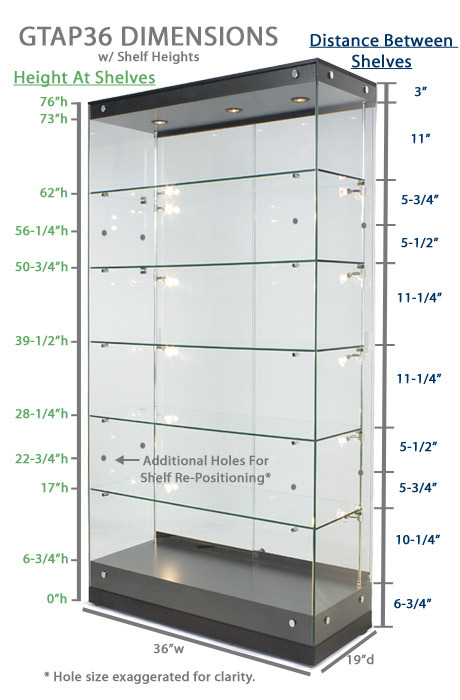 This trophy case is the perfect exhibit to really show off the beauty of your trophies, awards, or retail merchandise collection.